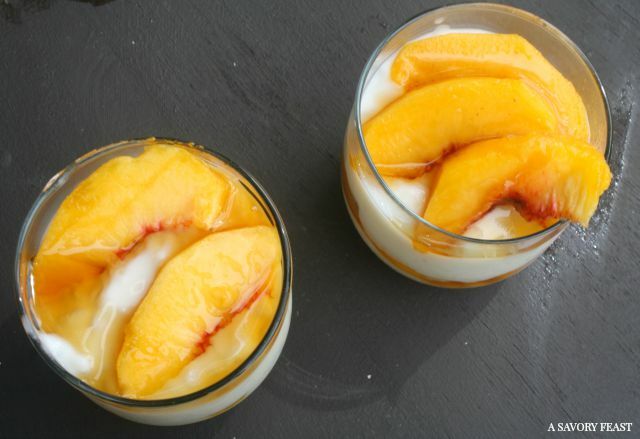 Celebrate the Summer of Pudding with this simple yet flavorful Maple Peach Rice Pudding Parfait. Easy and fresh ingredients that are simple to throw together for a quick snack. Can you believe August is here already? This year is flying by for me. I definitely don’t mind since I’ve been counting down to my wedding and moving into a new house. But it feels like it was just the 4th of July, and now we are almost a week into August. This Summer I’ve been celebrating the Summer of Pudding with Kozy Shack. 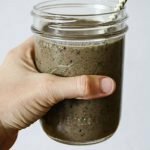 Each month we have been focusing on a different flavor of pudding, and I’ve been creating yummy recipes for each flavor. 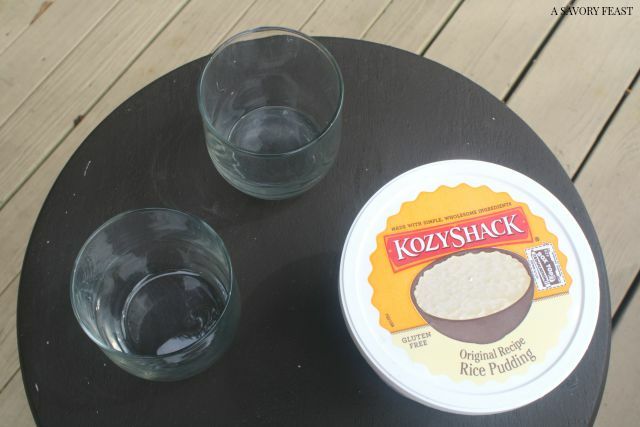 August 9th is National Rice Pudding Day, so today’s recipe is a fun way to top Kozy Shack’s Rice Pudding. To be honest, I don’t remember ever trying rice pudding before making this recipe. When I was younger I only liked creamy puddings, but I found that I really liked this rice pudding! Topping it with fresh peach slices and maple syrup added lots of flavor. 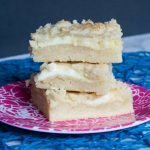 I realized when I made this recipe that I don’t use fresh peaches as often as I should! This one was absolutely perfect. I’m a big fan of peach cobbler and have seen some recipes that add maple syrup, too. I decided that would be the perfect addition to this peach parfait. Peel and slice the peach, set aside. Scoop about 1/2 of the rice pudding into 2 small cups or bowls, dividing evenly. 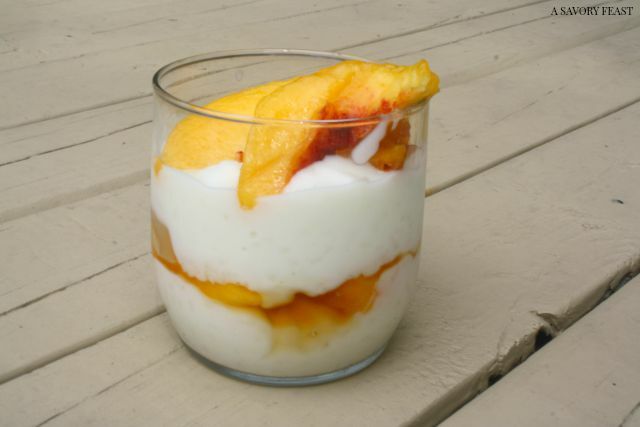 Place a layer of peach slices on top of the pudding and drizzle with maple syrup. Scoop the remaining pudding on top of the peach layer. Top with remaining peach slices and a drizzle of maple syrup. Visit Kozy Shack on Facebook for lots of recipes and topping ideas! 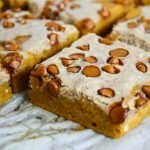 They even featured my recipe last month! You can also check them out on Instagram or learn more about their products on the Kozy Shack website. How are you celebrating the Summer of Pudding? I don’t think I’ve ever had rice pudding! that’s definitely something to try. And I have been all about the peaches these days. MMm! I don’t think I have before this, either. It was really good! This looks delicious! 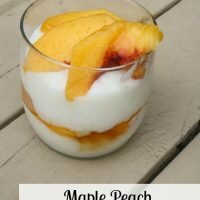 I love fresh peaches and this looks extremely refreshing! I almost did canned peaches but fresh were too good to pass up! Love fresh peaches! I know it’s trendy to grill them right now but that ruins their wonderful texture. This looks yummy! I’ve been wanting to try them grilled, but I’m a texture person so maybe I shouldn’t! Yum! I could definitely adapt this to something I could eat! You’ll love it! Peach and maple were a great combo. Brilliant and so easy! I don’t know if I’ve ever had rice pudding before, and I clearly need to get with it because this looks amazing! Thanks, Erin! You will love rice pudding! It went so good with maple and fresh peaches. Of course there’s a rice pudding day! Haha. These look so good. I love the maple syrup as a sweetener. But of course! I’m always excited for an excuse to eat dessert, though. You are so creative with this rice pudding. Wedding and a new house? So much excitement! Congrats! Oh goodness, makes me want to hop in my car and go to the grocery store! Just to whip this up! You know, I’ve never tried rice pudding before either. I have major texture issues so I’m sure that’s why I’ve never given it a go. 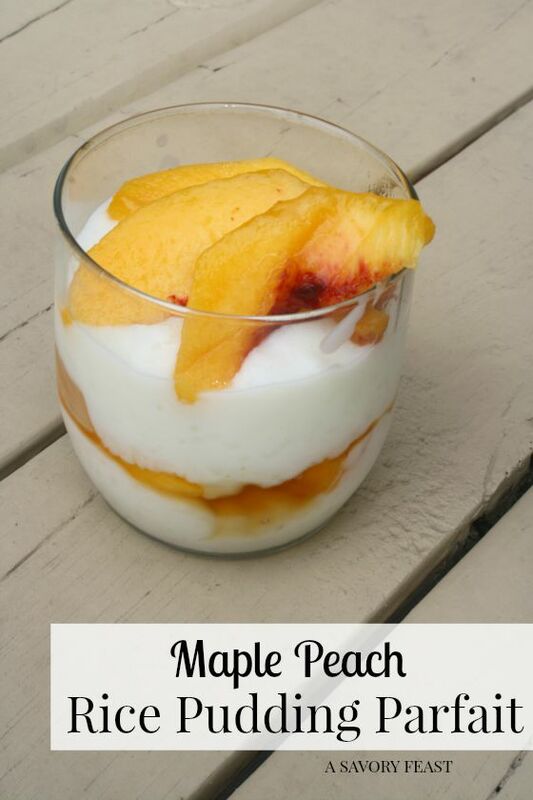 I love fresh peaches so this recipe looks pretty tasty. Thank you for sharing at Merry Monday! I have texture issues, too, so I wasn’t sure if I’d like it. I loved it, though! As a Canadian, I love maple anything! Thanks for linking up to Blogger Brags. I have pinned your post to the BB pinterest board. 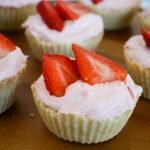 You will love this simple dessert! Thanks for stopping by. Your Rice Pudding Parfait looks fabulous, I would just love it! Hope you are having a great day and thanks so much for sharing with Full Plate Thursday. Thank you, Miz Helen! 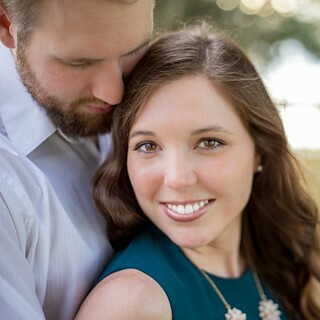 You are a great host, I always appreciate how you stop by and comment each week. I love maple and peach together! You will love this.